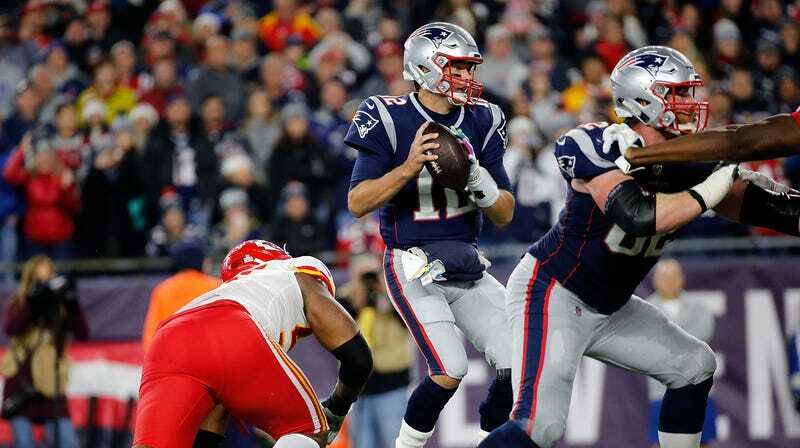 It ultimately didn’t matter much, because there was a defensive holding call on the play that would have given the Pats a first-and-goal, but the oddest play of last night’s thrilling Chiefs-Patriots game belonged to Chiefs linebacker Breeland Speaks. Given the penalty and the fact that the Chiefs scored on the next drive, Speaks’s mistake wasn’t a game-changer, but it is yet another example of how the NFL’s useless rule-mongering has negative effects on the game. We’ve already seen one lineman send himself to the IR through unnatural contortions in an effort to avoid a penalty, and now we’ve seen another just let go of an opponent. This is just going to keep happening, and football will keep getting a little worse each time it does.